Can’t make a decision between hemp oil and cannabis oil? Given the number of times the phrase “hemp oil vs. cannabis oil” has been googled till now, it looks like your dilemma is not so unique. Cannabis, marijuana, hemp – there are plenty of names that cannabis community members use to describe different cannabis products. Hemp is not marijuana and vice versa – while hemp contains only trace amounts of THC and significant amounts of CBD, marijuana comes with reversed proportions between these two cannabinoids. However, this major difference is not the only one. Here, we will explain all the differences and similarities between hemp oil vs cannabis oil. Are Hemp and Marijuana the Same Plants? A common misconception among those who are new to the world of cannabis is identifying hemp as marijuana and vice versa. In fact, one of the few things that connect these two is the same parent. Cannabis – this term refers to a plant family that covers many species, including both marijuana and hemp. Hemp – hemp plants belong to the cannabis family and they are grown for their tall, sturdy stalks (industrial hemp) and a unique cannabinoid profile with low THC levels. Marijuana – this variety of cannabis is what makes people feel high. Marijuana is grown for either medical or recreational purposes due to its high THC content. Think of it as of rectangles and squares. Virtually, all squares are rectangles, but not all rectangles can be classified as squares. To wrap it up, no, marijuana and hemp are not the same plants, even though they come from the same parent . Here’s what you need to know about the basic differences between hemp and marijuana. You can tell the difference between hemp and marijuana right away by simply looking at them. Hemp grows up to 15 feet tall and it has long massive stacks. In addition, hemp plants can be cultivated together because they grow easily closely packed with each other. Their leaves are skinny, with the largest concentration on the top of the plant. At times, hemp can look like long ditch weed. Marijuana, on the other hand, has broad leaves, tight buds and can look like a nugget with organs hairs. It rarely exceeds 5 feet height and grows outwards with more buds than hemp. On top of that, each marijuana plant needs to be grown separately. As mentioned, the main difference between hemp and marijuana is in their chemical makeup, specifically in the ratio between delta-9-tetrahydrocannabinol (THC) and cannabidiol (CBD). An average marijuana strain contains anywhere from 5 to 20% THC content. Some premium marijuana varieties can reach up to 30% THC due to cross-breeding of different strains . Also, marijuana tends to have low CBD levels, somewhere between 0.1 and 2%. When it comes to hemp, this ratio is turned upside-down. Hemp plants have a maximum THC level of 0.3%, which makes it impossible to feel any psychoactive effect, let alone get high. On the other hand, their CBD levels can vary between 18-27%. In order to elaborate on that part, we need to clarify the difference between “psychoactive” and “intoxicating”. By its definition, a psychoactive substance is the one that acts on your brain. CBD is known for its anti-anxiety and stress-relieving properties, so in fact, it acts on the mind. In other words, CBD is psychoactive, and so are all hemp-based products. However, unlike marijuana, hemp is non-intoxicating. While the range of marijuana health benefits outweighs the potential minor side effects, it is possible to get intoxicated with weed. Marijuana intoxication includes increased heart rate, dizziness, increased anxiety, or, in the worst case scenario, the paranoia that can last for several minutes. Due to the extremely low THC content, and the scientifically proven fact that CBD doesn’t produce toxicity regardless of the dose, the above is not going to happen with hemp and its derivatives. The environment in which hemp and marijuana are cultivated is vividly different. Hemp plants can be grown tightly together – the distance between plants can be as close as 4 inches – and are generally grown on large multi-acre fields. Hemp is also resistant to different climates and harsh conditions, so it’s way more versatile than marijuana. Its growth cycle oscillates around 108 and 120 days. Contrary to hemp, marijuana is much more demanding when it comes to cultivation. 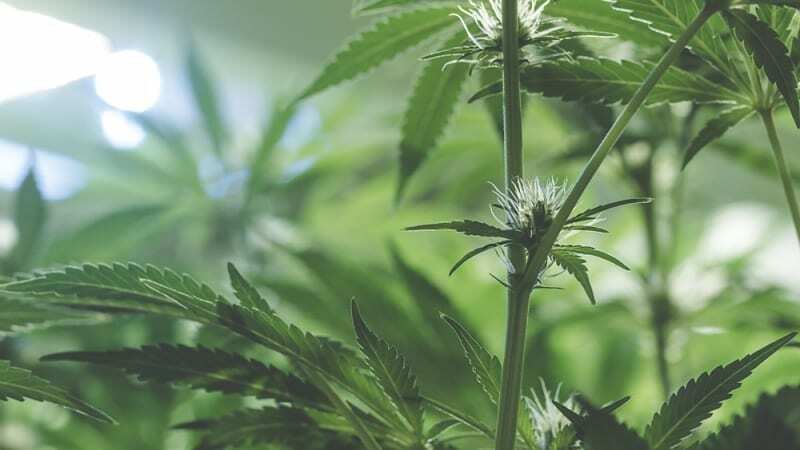 Marijuana plants require a carefully controlled environment, in which warmth, humidity, and airflow must be maintained on the top-notch level to grow best-quality plants. Their growth cycle lasts up to 90 days. Marijuana crops cannot be held too close to each other; otherwise, female plants can get pollinated. Hemp and hemp-derived products are legal in all 50 states and in over 40 countries around the world. Hemp became legal in the United States upon the introduction of the 2014 Farm Bill. The bill allows U.S. farmers and universities to cultivate hemp for research and industrial purposes. Technically speaking, leaves and buds of hemp cannot be used to produce oil, so many CBD companies dubiously claim that they extract CBD oil only from hemp stalks and seeds. Marijuana, on the other hand, is illegal in most countries. At the time of writing, Canada and Uruguay are the only two countries to have entirely legalized marijuana for both medical and recreational purposes. Recreational weed is legal in 9 states, with 31 states providing access to medical marijuana products. 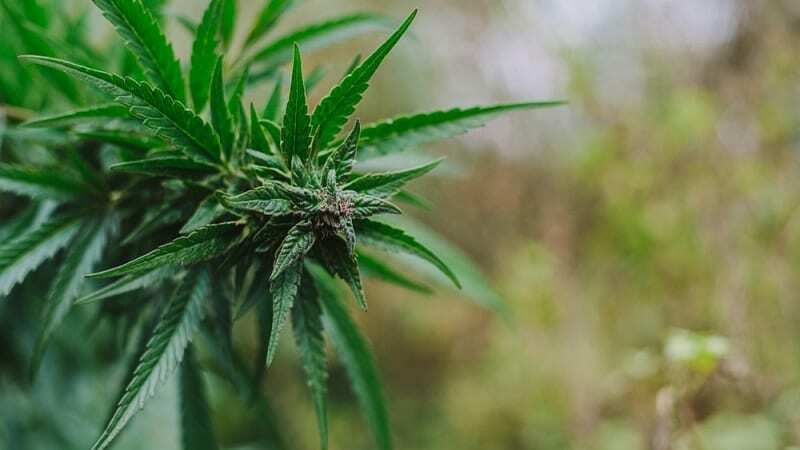 The War on Drugs and the Reefer Madness have undoubtedly taken their toll on cannabis, but with the current body of scientific evidence proving the benefits of marijuana, we may soon witness a global change in the attitude towards the herb. We will use the term “cannabis oil” to describe the oil derived from marijuana plants because the name got so mainstream that we don’t want to bring up more confusion. Now, let’s shed some light at key differences between hemp oil and cannabis oil. As we said, hemp oil has significant amounts of CBD, ranging from 18 to 27%. Hemp-based products contain less than 0.3% of THC (in some countries, the threshold is 0.2). Otherwise, they would be considered illegal. Cannabis oil can have between 5 and 30% THC, depending on the strain. CBD levels rarely breach the 1% threshold, but cannabis breeders and geneticists have been developing the wing of cross-breeding marijuana and hemp strains to achieve products with more Cannabidiol inside. According to WHO, CBD alone does not cause toxicity, nor does it produce serious side effects. In fact, any undesired reactions from a CBD oil user occur due to the interaction of cannabidiol with other drugs. The possible side effects of CBD oil include dizziness, lowered heart rate, dry mouth, and the lack of appetite. As you already know, marijuana has intoxicating properties because of the presence of THC in the herb. When overconsumed, THC can cause anxiety, increased blood pressure, cold sweats, confusion, and drowsiness. Paranoia can occur as well, but it takes plenty of THC to trigger it  . Time for a couple of intricacies. Cannabis oil is most often used for medical purposes, although recreational users like to consume it, too, especially when it comes to infusing food and beverages with marijuana. If you want to buy cannabis oil, you will need to apply for a medical marijuana card in your country/state or live in a place where recreational weed is legal. On top of the well-documented health benefits, hemp oil comes with relaxing, moisturizing, soothing, and calming properties. Hemp-derived CBD oil is considered a food supplement, and as such, you don’t need a prescription to buy it. In fact, you can purchase CBD either from a local health store/vape shop/brick-and-mortar store or do it online and have it delivered right to your doorstep. Despite the above differences, both hemp and cannabis oil share a couple of common features. The most striking similarity is in the types of products available on the market. Hemp oil is also used as an ingredient in CBD pet products. Like humans, dogs and cats have the endocannabinoid system, which means that they can benefit from the wellness qualities of Cannabidiol. However, if you’re wondering whether or not you can give your pet cannabis oil, the answer is a loud ‘No.’ THC is toxic for pets and thus it’s best to keep THC-infused products away from your four-legged buddies. The misunderstanding of the differences between hemp and marijuana was one of the main reasons why hemp, one of the world’s oldest domesticated crop, was unintentionally outlawed . In the 1970s, President Richard Nixon declared the “War on Drugs”, which was later followed by the Controlled Substances Act of 1970. The Drug Enforcement Administration (DEA) was ordered to execute the ban on all drugs, including cannabis. Not only did this event led to the stigma of hemp, but it also spreads the misconception of the plant. Fortunately, the 2014 Farm Bill made hemp legal again in all 50 states, making it clear that it’s not the same as marijuana. The ongoing research on both marijuana and hemp uncovers new information every day. 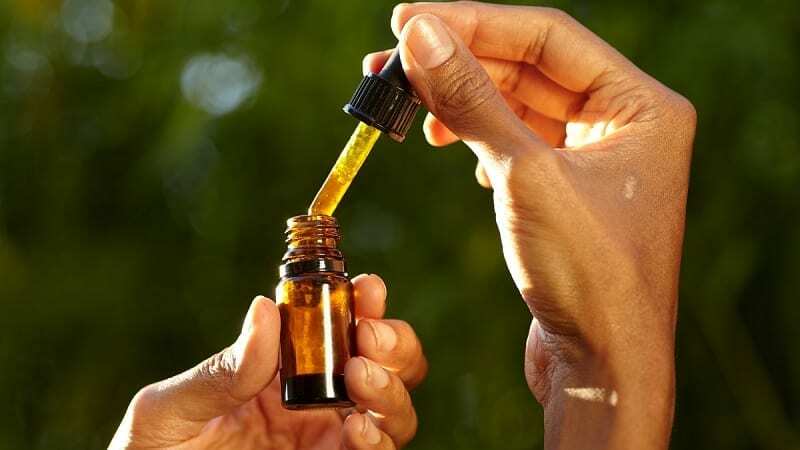 The health benefits of hemp oil and cannabis oil are starting to become more appealing to the crowds – and the stigma is slowly but surely starting to dissipate. The sooner you come out of the dark when it comes to distinguishing between hemp and marijuana, the better. Taking the time to educate yourself will pay off by opening your eyes to the subject and experience the positive benefits of both cannabis varieties in a personal way. What is your take on the hemp oil vs. cannabis oil debate? What are your experiences with these products? ElSohly, Mahmoud A. et al. “Changes in Cannabis Potency over the Last Two Decades (1995-2014) – Analysis of Current Data in the United States.” Biological psychiatry 79.7 (2016): 613–619. PMC. Web. 14 Sept. 2018. Di Forti, Marta et al. “High-Potency Cannabis and the Risk of Psychosis.” The British Journal of Psychiatry 195.6 (2009): 488–491. PMC. Web. 14 Sept. 2018. Volkow, Nora D. et al. “Adverse Health Effects of Marijuana Use.” The New England journal of medicine 370.23 (2014): 2219–2227. PMC. Web. 14 Sept. 2018. Small, E. and D. Marcus. 2002. Hemp: A new crop with new uses for North America. p. 284–326. In: J. Janick and A. Whipkey (eds. ), Trends in new crops and new uses. ASHS Press, Alexandria, VA.